McGregor is spotted doing squats in Central Park, using a person as a weight. 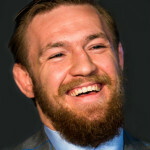 Danis shares photos of himself and McGregor working on the mats at Hamptons Jiu-Jitsu school in New York. Solid training session today in the Hamptons. I was in Paulie’s corner and although he hasn’t fought since March and is retired, he’s getting sharper by the day. You can see he’s still a class operator, and it was an interesting spar to watch – more a full on fight actually. Conor told us all when Paulie came into camp ‘this is not a spar, I want to fight him. I’m ready for a war’. We had 12 rounds of sparring last night. It was good work, hard work. I actually wasn’t too thrilled that they wanted me to go twelve rounds 24 hours after getting off a cross-country flight. Especially when I hadn’t worked all last week, so I wasn’t thrilled and I kinda came into the gym last night with a bit of a chip on my shoulder and the sparring got intense, it got heated. We went 12 hard rounds and I think I made my point last night I’ll say that. Basically, don’t f— with me. I’m here to help, I’m here to do the best I can for you guys, so don’t try to take advantage of me. Don’t try to make like you’re running a two-time world champion out of your camp or whatnot. Honestly I questioned last night whether I could go twelve rounds and the first five rounds of back-and-forth action, I wasn’t really sure I could go the full twelve. Then as we got to round six, he started fading a little bit and that’s when I really tried to dig in there and that’s when I said you know what I’m going to stay in here, I got a point to make tonight. I managed to last until about 12, but in rounds 11 and 12 he came back and put it on me. I just totally gassed out in the eleventh and twelfth. So we returned the favors to each other last night. 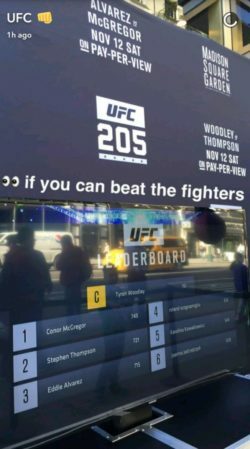 McGregor comes second in the the UFC punch test, beating Alvarez, and hitting harder than Welterweight challenger Stephen Thompson. Welterweight champ Tyron Woodley was the hardest hitter. Video is released of McGregor sparring with Nelson at Mjölnir MMA in Iceland.